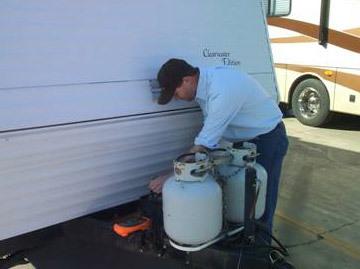 Located in Picayune, Ms. just minutes from New Orleans and the Gulf Coast, our skilled team of Certified RV Repair & Service Technicians are committed to providing only the best in recreational vehicle service & maintenance for your motorhome, travel trailer or camper regardless of where you purchased it. Paw Paw's offers a wide variety of RV chassis and coach service work including exterior and interior repair and replacement. 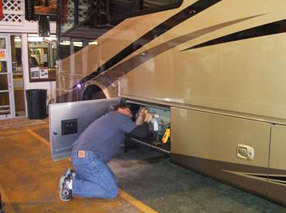 We also do warranty service work for most major RV manufacturers. We can perform most RV repairs including mechanical, warranty, collision repairs, routine maintenance, electrical and plumbing. Regardless if you live in MS or are just passing through, stop in and visit our RV Service and Parts Department.